While life is full of uncertainties, there are certain guarantees such as death and taxes (I know, such an encouraging start to this post). There are also laws that always apply as the law of thermodynamics and today’s topic – the law of gravity. 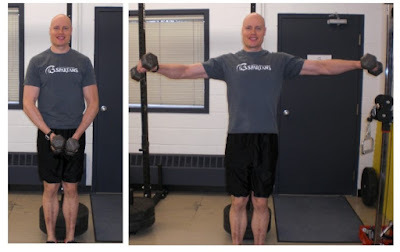 While it may sound simple, you would be amazed at how many times people set foot in the gym and try lifting free weights while failing to realize how gravity works and what that means for effective, results-producing strength training. Are you one of them? 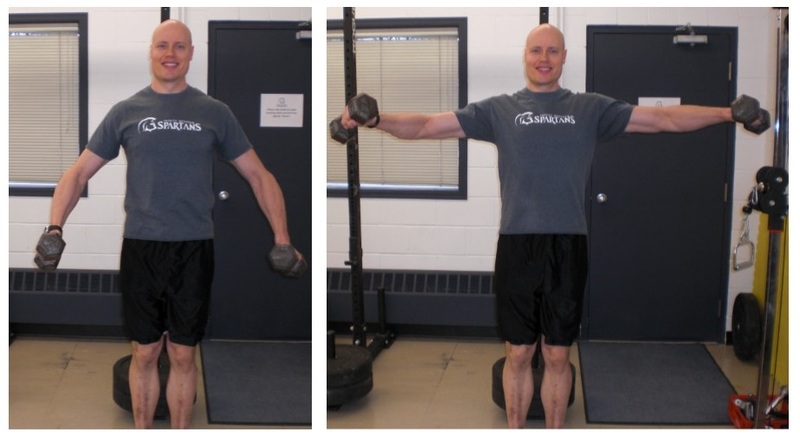 Free weights only work to provide resistance for your muscles if you lift them straight up. People keep going to the gym and lifting free weights in other directions. While this is not always dangerous, it is ineffective. If you want the best possible results, you need to consider the gravity factor in your training. Weight only work when they place tension on your muscles. Here are 10 common ways people ignore the gravity factor and several superior alternatives. I’ll start with this one because I see this all the time when people are warming up or trying to train their rotator cuff. While this looks cool, you are moving a free weight sideways. If you want to work your rotator cuff, you need to lie on your side. If you want to stand, use a band or a cable. Side note: while external rotations do work the rotator cuff muscle, this is not really what these muscles do a functional context. 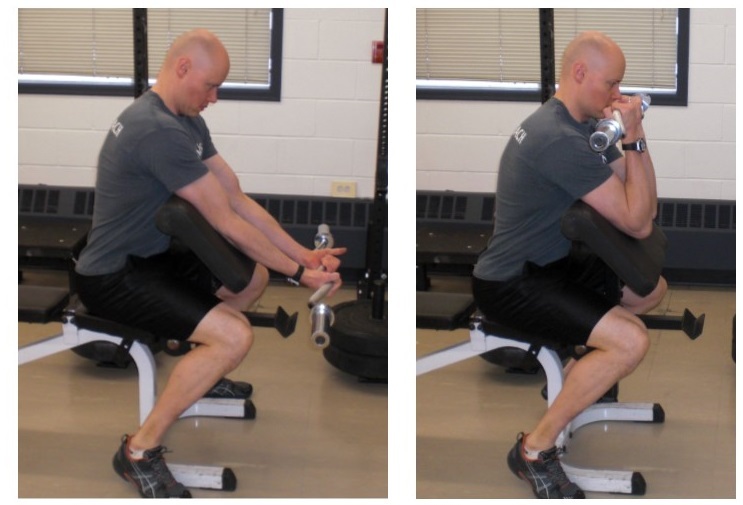 Stabilizers like the rotator cuff fire rapidly to maintain optimal joint position while the body moves. More on this in a future post. Lunges and split squats are great exercises. However, the challenge comes with your weight distribution. Remember, your body is not thinking of things the same way you are. You are thinking: “I want to build/sculpt my guads and glutes.” However, your body is thinking: “I want to survive this stupid exercise as easily as possible.” As a result, you will subconsciously shift your weight to your back leg so both legs are helping equally. While is not dangerous, it takes the stress off your target leg. A better approach is to shift your weight on to your front leg. 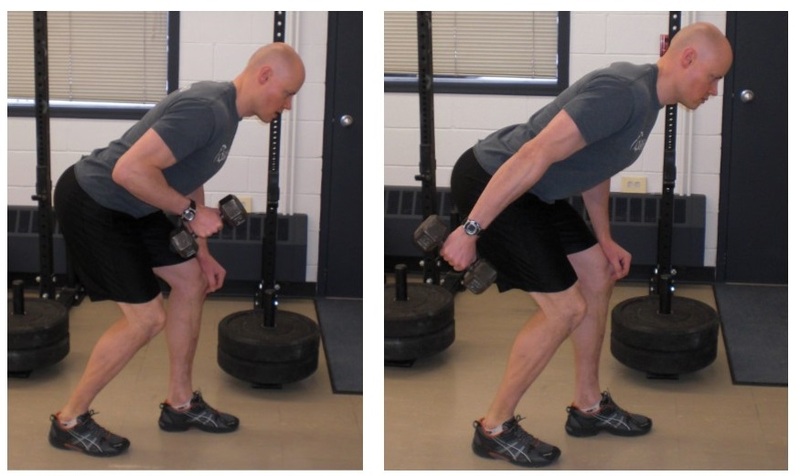 Think of the squat or lunge as a single leg squat on the front leg with the back leg working as “kick-stand” for balance. Note: many people talk like there is a “law” that states: “thy knee must never travel past thy toes.” This is not a law, but a misunderstood principle. 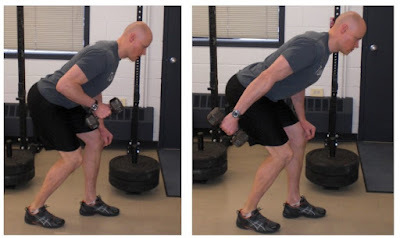 If you want to work your quads, you have to allow some forward movement on the knee when squatting or lunging. Just be sure that you still have pressure on your heel and that you don’t go forward to the point where it hurts your knee. You don't have to go as far forward as I did in this picture. If you use the back extension and you have a choice as to which one you want to use, avoid the horizontal back extension. This variation causes you to move on an angle most of the time. It also places a lot of sheer force on your spinal discs at the top. A better back extension option is the 45-degree back extension. In this option, your body moves up most of the time. People often talk about getting a stretch in the lats at the bottom of a row. 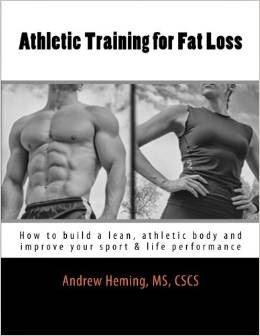 One recommendation for this is to move the weight forward at the beginning. 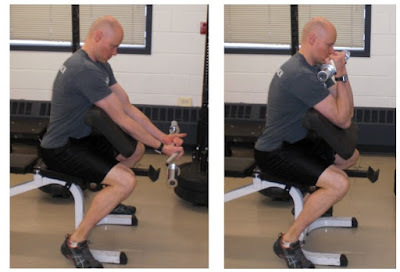 While this will give you more of a stretch, you again end up moving a free weight sideways. 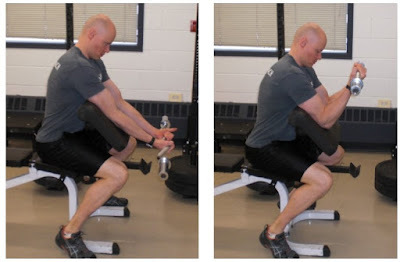 If you want a stretch AND tension in the muscle, try using a cable instead of a dumbbell. However, my personal preference is to simply do a straight up and down 1-arm DB Row and use pull-ups (you could also use pulldowns) to stretch the lats. Many people lack the extension in their t-spines (upper back) or the flexibility in their shoulders to do vertical pressing. As a result, many people press forward on an angle. The problem with this is that it only works with light weights. As the weight gets heavy, physics require that you keep that weight in your base of support (in this case your foot print). As a result, your hips will sway forward and your lower back will hyperextend to get the bar vertical. 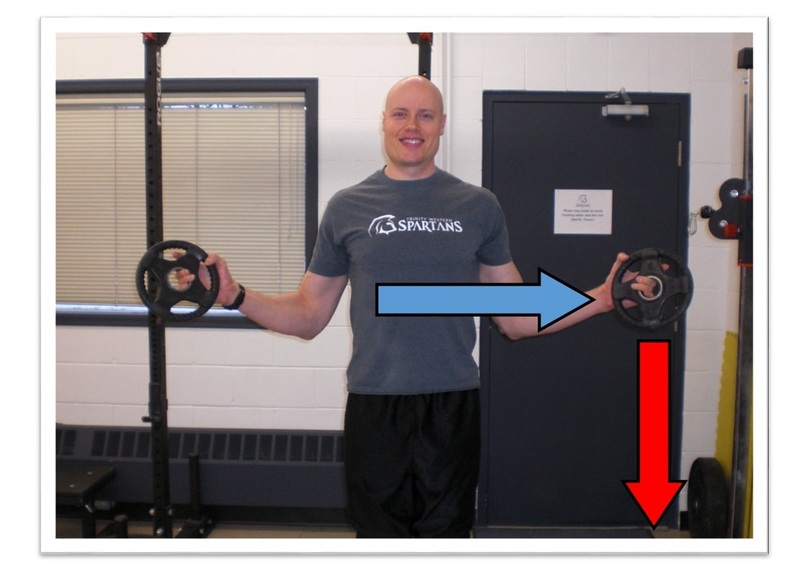 Before you press, try with just a bar, wooden dowel or just your hands to see if you have the ability to press straight overhead. If you don’t have the flexibility to press straight up overhead, work on your t-spine mobility and lat flexibility. In the meantime, try a high-incline press instead so you can press straight up without exceeding your natural range of motion. Even the name of this one should provide a clue that is not a good gravity-factor exercise. The bottom 1/3 of this movement is almost completely sideways. Thankfully, there are several superior alternatives. One simple option is to simply start and stop the movement where the tension falls off. Another option is to use a cable which allows you to go down to the bottom with tension. Yet another option is to lie on your side on an incline bench. You are still moving in an arc, but it is much more of a vertical arc. This is a great upper back accessory exercise. However, like the side raises, you end up with a lot of sideways movement. A better approach is to stop when the tension falls off. You can also use cable for this. Noticing a pattern with flies? Again, we have a lot of sideways movement. While chest flies are not the healthiest exercise on the shoulder (i.e. don't do them if you have shoulder issues) or the most useful (i.e. best for bodybuilding and to accessorize more important chest exercises such as dumbbell presses and dips), here are some effective options if you want to use them. Option 1: stop when resistance falls off. 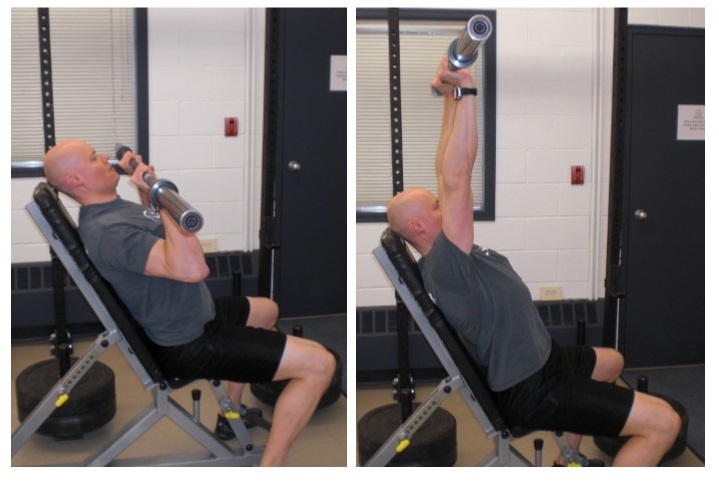 Option 2: go all the way up, let the dumbbells touch and actively squeeze the dumbbells together while flexing your pecs. This is popular one in many group-fitness classes. 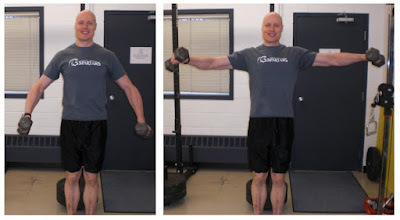 On the surface it seems great – biceps and triceps all in one movement! However, you end up swings a weight sideways. Instead, stand up to do your curls. Now, the strength coach in me would say, “don’t do kick-backs – do dips or close-grip pressing instead!" However, if you insist on doing triceps kick-backs – try this "fun" variation. While not the most elbow-friendly, preacher curls can hammer your biceps. However, because of the angle, you want to avoid coming all the way up. Instead, stop when you feel the tension come off the muscle. If you want to go all the way, try a cable. Or, lie on your stomach on an incline bench. Since we are on this topic of gravity, I thought I would mention the leg press. Most leg presses are at about a 45 degree angle. 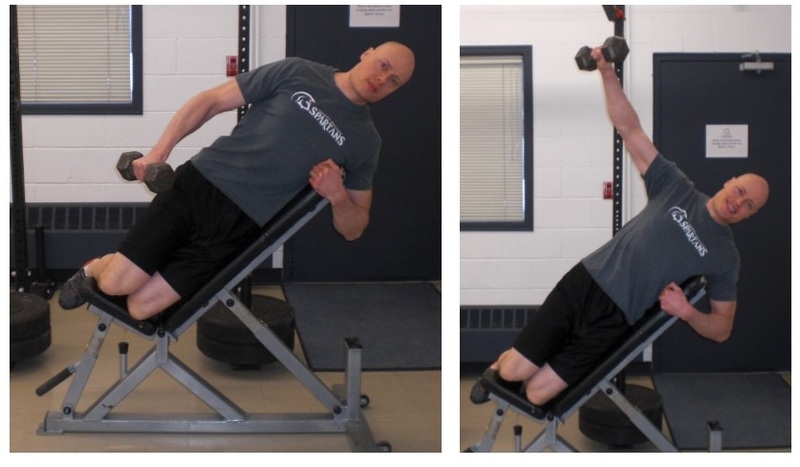 As a result, you are moving a weight on an angle – not straight up (historical note: the original leg press machines had you pressing straight up – which are WAY harder). Just remember that even though you put 600lbs on the leg press, you are not really lifting 600lbs. I remember years ago going to a gym that had about a 30-35 degree leg press. What an ego-stroking machine that was! I instantly added about 2 plates a side due to the easier slope. How about you? As always, I welcome your comments or questions.